For many years, WRJ has been offering its customers the best in luxurious rail journeys world over, coupled with top-notch service offerings. Being the industry leaders, we perennially work towards making your train journeys better and more enjoyable, right from making the booking to taking back the lovely memories of the train journey. 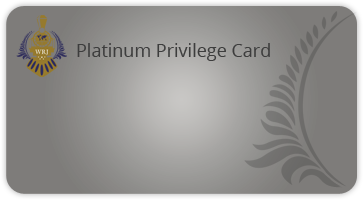 With this aim, WRJ has come up with an industry first - WRJ Privilege Card. 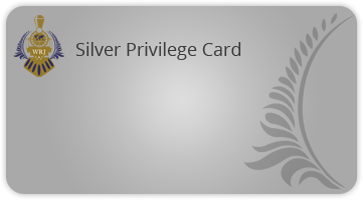 Set to make your experience even more pleasing, WRJ Privilege Card is for our trade partners either in silver, gold, platinum category depend on the business. It provides the cardholder a unique ID and a booking code. Every time you make a booking with us, we capture that data using your unique ID and you immediately get a confirmed booking through the booking code. Our trade partners and customers can directly get in touch with the corporation, provide the booking code, and get a confirmation right away that the booking is done. 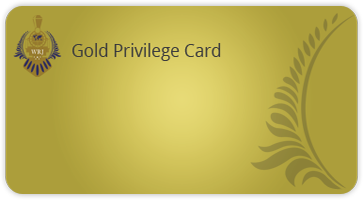 WRJ Privilege Card ensures that all your booking history and data are in one place and can be immediately referenced. This helps in quicker and reliable transparent reconciliation. In addition, as part of WRJ family who regularly provides us business, we offer tempting benefits and rewards to our trade partners. You can expect consolidated cash rewards at the end of financial year depending on the business you provide us. Our direct customers too stand to benefit by making repeat bookings and referencing their friend and acquaintance to book with us. Every time a reference translates into a booking, you stand to win rewards. So, everyone stands to benefit. WRJ is proud in being a thought leader in the industry to constantly devise new innovations and better its service offerings to ensure happier clients. WRJ Privilege Card is a milestone in this journey and a testament to our commitment to provide a thoroughly professional and pleasing experience to our customers. And we promise to continue to bring more benefits to make our privileged patrons' experience truly a class apart.